"You had a call from some filmmaker," said Heather. "He wants you to call him back." 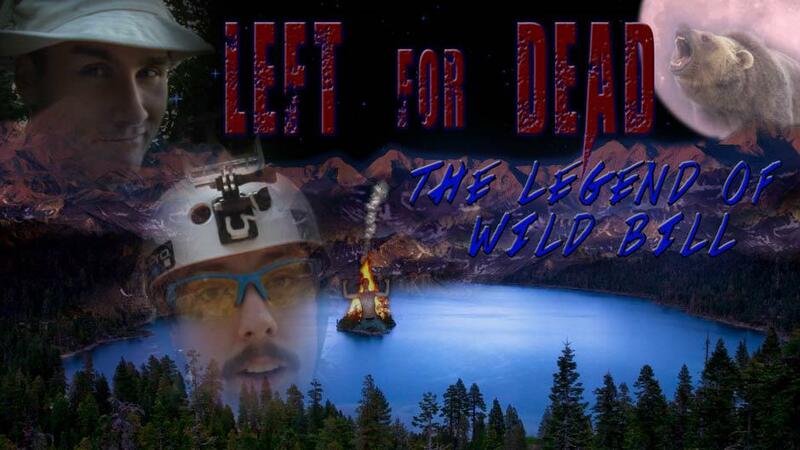 Michael Mankowski had sent an email earlier that day, wanting to get together to talk about their film Left for Dead: The Legend of Wild Bill. I first heard about the project from Mike's dad at a banquet that I had attended in the fall. As Tony described the premise, the project, its budget and its potential, I became increasingly intrigued, especially with the fact that these were hometown boys doing something incredibly cool. We met at Starbucks (free plug) at the downtown Safeway earlier this week. Michael, Jonathan Rice and Matt Thomas are three Father Mercredi grads, who also did a year at Keyano College before transferring out to university. They've worked, and continue to work at a myriad of jobs - mortgage broker, site worker, etc. - but it's clear where their passions lie. At this point, I had already watched the trailer - several times - and instantly recognized one of them. 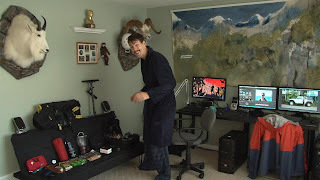 Tall, clean shaven, unassuming, Matt plays Bill Harris, the former cameraman of the hit outdoor survivalist show Left for Dead. Inspired by the sudden death of his closest friend and the show's star, Bob Catts, Bill embarks on one last adventure in his honour. 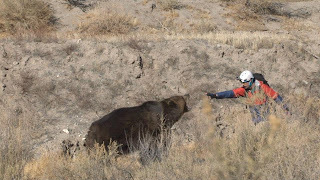 Though he was behind the camera watching Bob for years, it turns out he didn't learn too much and as he attempts a solo escape from the Selkirk Mountain wilderness he discovers the depths of his ignorance. Fort McMurray got their first taste of the creative spark of these business students turned movie makers during the first iteration of the interPLAY Film Festival. "We were the debut film of the festival," said Jonathan. "We submitted Kronicles of Scott Green and Marty Haze." WARNING: the following trailer contains more than several expletives that you might find offensive....or not. One full-length low budget feature under their belts, the group set out to film Left for Dead this fall, spending several weeks and every spare moment scouting locations in the Nelson, BC area. "The only way we were going to be able to pull this off was to work closely with a community where we could make lots of side deals," said Mike. "Nelson proved to be perfect, with lots of ski resorts and businesses that could benefit from the exposure." Four or five weeks of scouting transitioned into a similar number of weeks doing the actual filming. "For a pair of asthmatics, Matt and I, this was a big deal," said Mike. "Traipsing up and down mountains and through forests lugging all of our gear was a hell of a lot of work." "It also rained almost the whole time," said Jonathan. 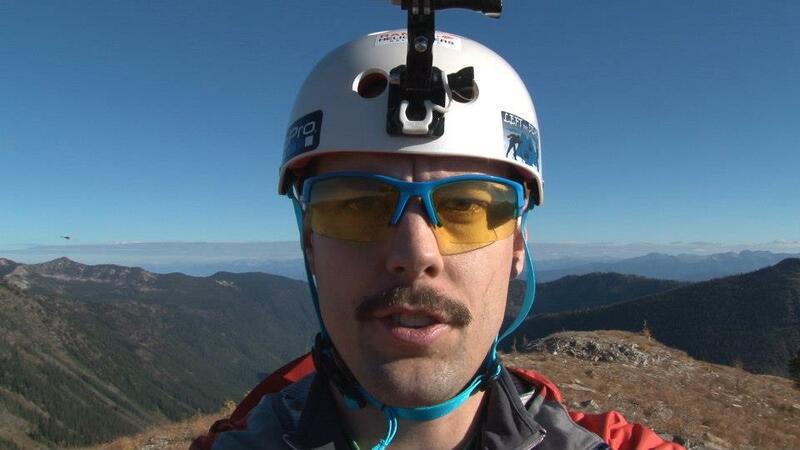 "We had Matt doing all kinds of crazy things out there in the wild." Apart of spending hours in a cold mountain stream filming a spear fishing scene, Matt also had the unenviable task of going toe to toe with a full-sized grizzly bear. "We traveled down to L.A. to work with a company that provides trained animals for all the major films including the recent Matt Damon feature We Bought A Zoo," said Mike. "We managed to talk them into giving us a helluva deal. There is no way we could have afforded the time with the grizzly paying the regular rate." "While we were filming the scene, the trainer kept whispering closer, closer, closer," said Jonathan. "He told me I had nothing to worry about," said Matt. "Just don't make any sudden moves. He's completely harmless but if he accidentally swats you, it's gonna do some damage." Tapping into Matt's computer and technical skill - he built the computer from scratch that ended up piecing the entire film together - and taking a collaborative approach to both directing and producing, they now have a finished film (Total Budget: ~ $30K) and an opportunity to win up to a million dollars through a trailer competition, which would include a chance to show the film throughout the Cineplex Odeon chain. This is where you come in! These young filmmakers need to demonstrate their ability to drive traffic to their product. If they do this better than everyone else, their movie-making aspirations could go from bull-low to hyper drive. Step Two: click "Add to Watchlist"
Sitting there in Starbucks seeing the passion, determination and intention in the eyes of these filmmakers was just plain fun. Perhaps against their own better judgement, they seem determined to make a go at this creative path, fraught with unforgiving hazards, wildlife, and unparalleled beauty and possibility. I, for one, applaud their courage and hope that they not only survive, but that they thrive in the vast wilderness of the film industry. You can follow and connect with them at their Facebook page located here: https://www.facebook.com/Legendarywildbill.